The legendary Indian contemporary dancer and choreographer Astad Deboo returns to New York for two performances this month. 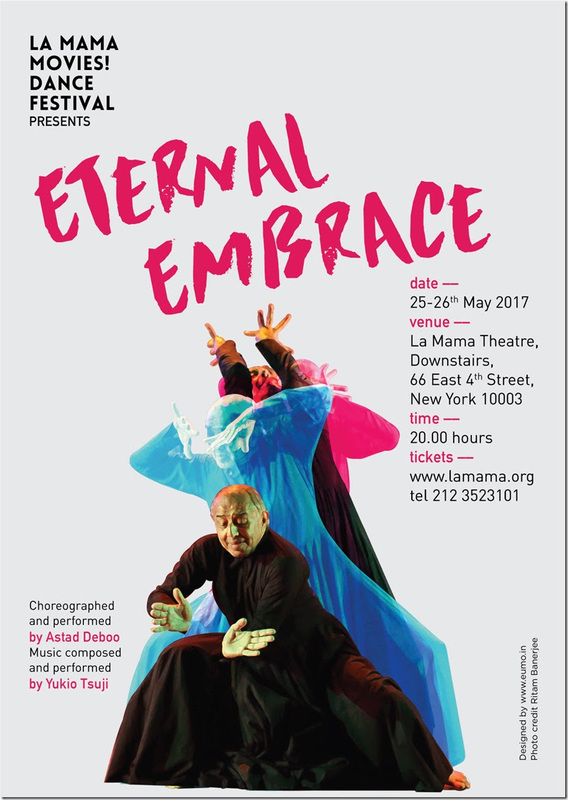 Eternal Embrace is inspired by the poem Maati, written by Sufi poet Hazrat Bulleh Shah. Embodying the poem’s central themes, the piece explores the tensions between annihilation and infinity, the ephemeral and the material worlds. Astad Deboo’s name is synonymous with Contemporary Indian Dance. He pioneered an innovative style of Indian Dance in the late 70’s. Diverse influences have given Astad Deboo a rich vocabulary as a successful soloists. It has also given him the resources to engage in creative collaborations with musicians, puppeteers, theatre directors, visual artists and dancers. His significant legacy offers innovative models for younger Indian artists whom he exhorts with characteristic clarity: “to be Contemporary Indian Dancers we must be Indian Contemporary, not simply imitate the west.” Astad’s dynamic career has lasted over 48 years with performances in more then 70 countries.